A US Africa Command spokesperson said Friday's airstrike had no link to the anniversary. 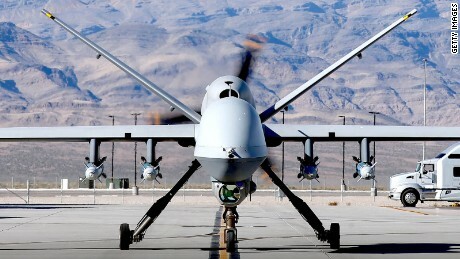 United States military officials have expressed concern that the group is again growing - even after losing much of its territory in Somalia in recent years and being targeted by U.S. drone strikes. Washington says its attacks target militants groups. It was the largest USA air strike since a November 2017 attack, which killed about 100 al-Shabab fighters. The strike came after a recent spate of attacks that Al-Shabab has conducted against Somali security forces and their USA advisers across the country. The U.S. on Tuesday said about 60 extremists were killed. Under President Trump, the United States military has increased its involvement in the fight against al-Shabaab, the deadliest Islamic extremist group in sub-Saharan Africa. Al-Shabaab, which seeks to establish an Islamic state in Somalia, continues to hold parts of the country's south and central regions after being chased out of Mogadishu several years ago. The US military's activities in Somalia have been under scrutiny in recent months after US special forces in May were accused of complicity in a botched raid by Somali troops that left five civilians dead. The only other period when the federal government has run deficits above US$ 1 trillion was for four years from 2009 through 2011. In March, Trump signed a $1.3 trillion spending bill into law.